G2A.com recently listed the most popular cryptocurrency Bitcoin on the platform, G2A Pay. Now the Bitcoin can be used to accept payment and shop at G2A.com. 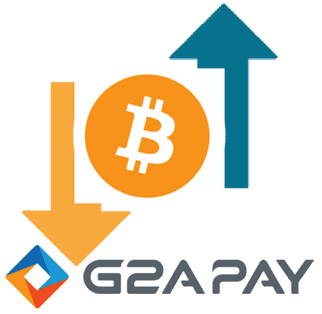 For this, G2A has partnered BitPay to process and complete safe transactions of Bitcoin at G2A Pay. After integration of Bitcoin, now customers will be able to pay through the fastest mode of payment to get their products in the shortest time frame. The option is available for all product categories. The objective of bringing Bitcoin as the payment method is to encourage merchants to ensure transaction from anyone, anywhere in the world at a low cost, fast and with no chargeback risk. G2A has pushed G2A Pay aggressively and included all possible payment options at the most competitive price and project as “Sell Globally- Pay Locally”! Rising acceptability of cryptocurrency has attracted marketplace and retailers to think beyond traditional payment methods. Bitcoin is the most valuable crypto coin and dominating the world of crypto coins. Piyush Kankane, Official Spokesperson- G2A India says, “Tie up for Bitcoin as payment mode is another milestone and we will ensure each aspect of payment to provide at our platform customer ease. It is an honest approach to cater our target audience and gel with the latest technology to serve better and faster than others.” BitPay is world’s leading bitcoin processor and trusted by many enterprises such as Microsoft, Adyen and Neteller. G2A Pay is offering various payment options and Bitcoin is the latest in the basket. Now Indian customers have 13 different types of payment methods to seal the deal. G2A is the largest marketplace of digital products and games offering 45,000 products globally to sell and purchase. The company provides a safe and efficient way to make transactions for digital products like; games, software activation licenses for Steam, Xbox Live cards, PSN codes and time-cards for online games. They ensure 24×7 customer support, free protection and no chargeback. The company serves more than 4,000,000 new customers per year and completes more than 10 million transactions per year worldwide.